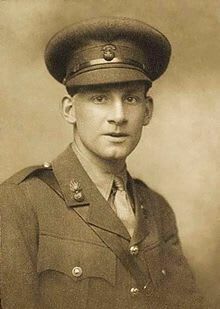 Siegfried Sassoon was a celebrated First World War poet. He was decorated for bravery during action, but became increasingly critical of the nature of war publishing a letter in the Times. He survived the conflict and continued a successful literary career. 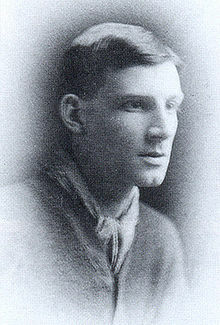 Siegfried Sassoon was born 8 September in Matfield, Kent, UK. His father was a wealthy Jewish businessman and his mother an Anglo-Catholic. He was educated at Marlborough College and then Clare College, Cambridge University – though he left without completing his degree. Between 1907 and the start of the war, he was able to live a comfortable life of writing, playing cricket and other sporting interests. His private income meant he didn’t have to get a job; he nursed ambitions to be both play cricket for Kent and become a writer. In 1913, he achieved moderate success with his book, The Daffodil Murderer a parody of Everlasting Mercy by John Masefield. At the outbreak of war Siegfried, like many men of his generation, was full of patriotic fervour and enthusiastic about the war effort. He joined the army just before war was declared, but broke his arm badly, keeping him out of action until 1915. In 1915, he was hit hard by the death of his brother in Gallipoli. In November 1915, he finally made his way to the front line in France. Here, he was shocked by the reality of trench warfare. The ugliness of war had a profound influence on his poetic outlook. He was also influenced by fellow poet Robert Graves. The work of Graves, combined with his own first-hand experiences about the horrors of war, encouraged him to write gritty, realistic poetry, emphasising the tragedy and futility of war. Siegfried gained a reputation for fearless bravery in action. He frequently took on dangerous missions with scant regard for his own life; his men felt tremendous confidence in his presence, inspired by his bravery and courage. On one occasion, Siegfried single-handedly took a heavily defended German trench in the Hindenburg line, killing an estimated 50 Germans with hand grenades. However, his response on taking the German trench was to sit down and read a book of poetry rather than signalling for reinforcements. This incident was typical of Sassoon’s gallantry, disdain for fear, but mixed motives about the war. It was said that his depression at the state of war, encouraged him to take almost suicidal risks, gaining him the nickname ‘Mad Jack’. He was later awarded the Military Cross for bravery in action. After the death of his dear friend, David Cuthbert, and with the encouragement of anti-war intellectuals such as Bertrand Russell, Sassoon decided to take a public stand against the war. He wrote a letter to the Times, which was published; he stated that the war was being unnecessarily prolonged by the decisions of generals and politicians who had scant regard for the lives of the men they were sending into battle. The letter caused an outcry, in part because Sassoon was well known as a highly decorated soldier and poet. There was a danger of a court martial; however, to limit the damage the authorities, with the encouragement of his close friend Robert Graves, decided to invalid Sassoon for ‘shell shock’ and he was withdrawn from military service. Around this time, Sassoon threw the ribbon of his military cross into the river. It was in hospital in Edinburgh, that Sassoon became acquainted with fellow war poet, Wilfred Owen. They became very close, sharing a passion for war poetry and also a deep personal connection. Owen looked up to Sassoon as a mentor and guide; Sassoon looked over Owen’s poetry and offered suggestions. Despite the near court-martial, Sassoon returned to active service in 1918. This time he was shot in the head by ‘friendly fire’. 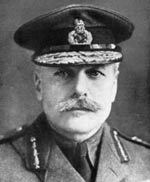 However, he survived and spent the remainder of the war in England. Sassoon’s wound encouraged Owen, without the knowledge of Sassoon, to go back into front-line service – where Owen was killed shortly before the Armistice. After the war, he retired from the army on health grounds. He was briefly involved in politics and the Labour movement. He was instrumental in publicising the work and poetry of Wilfred Owen and helped cement his reputation. He also had great success with a fictional autobiography – Memoirs of a Fox-Hunting Man, (1928). In this period he was also open about his homosexuality and had affairs with several men. However, in 1933, he married Hester Gatty, and the couple had one child. The marriage broke down after the Second World War, and Sassoon became increasingly fond of solitude. Towards the end of his life, he converted to Roman Catholicism and paid regular visits to the nuns of Stanbrook Abbey. Citation: Pettinger, Tejvan. 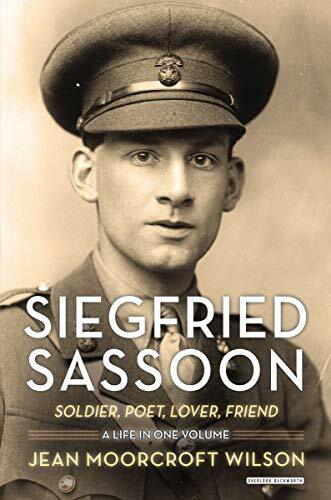 “Biography of Siegfried Sassoon”, Oxford, www.biographyonline.net. Published 13th Jan. 2010. Last updated 9 February 2018.